Apple has credited the evad3rs jailbreak team with discovering several security issues, according to a new Knowledge Base article that details security issues fixed in iOS 7.1 today. The company also credits a number of individual researchers -- including one named Roboboi99 -- as well as corporate security specialists from Google and FireEye, among other companies. As is common at many tech companies, Apple credits security researchers who discover vulnerabilities in its products after it fixes them, though the company does not offer a bounty program to financially reward researchers like many other companies do. In iOS 7.1, Apple fixed security issues with Backup, the Certificate Trust Policy, Configuration Profiles, CoreCapture, Crash Reporting, dyld, FaceTime, ImageIO, IOKit HID Event, iTunes Store, Kernel, Office Viewer, Photos Backend, Profiles, Safari, Settings, SpringBoard, SpringBoard Lock Screen, the TelephonyUI Framework, USB Host, Video Driver, and WebKit. Of course, with Apple fixing the security issues that the jailbreak team discovered, it has also closed the loopholes that allowed a jailbreak in the first place. For now, the last version of iOS that can be jailbroken is iOS 7.0.6. I don't JB anymore but what say you now jailbreak haters? See, not only are JBs practical and useful, they bring to light security flaws. You don't see JBers using the exploits to destroy Apple functionality. Functionality is actually added and improved. Apple steals good jailbreak ideas and that's a known fact. A lot of the features YOU like in iOS are from jailbreaks. Pretty much Apple just admitted everything JBers have been saying all along. Apple acknowledged them like this?...this is not something you see everyday. Apple has done this type of stuff in the past. Most of the userland jailbreak exploit bug fix reports are attributed to a jailbreak developer. Boom! That's one right in the kisser. I wonder who has the sense of humor. It's certainly not Tim Cook. Very misleading post title, should be corrected to clarify issues that are FIXED in 7.1. Title makes it seem like the issues are in the 7.1 release build. I still wonder why they released a jailbreak for 7.0 instead of waiting for 7.1, which is a lot more polished. 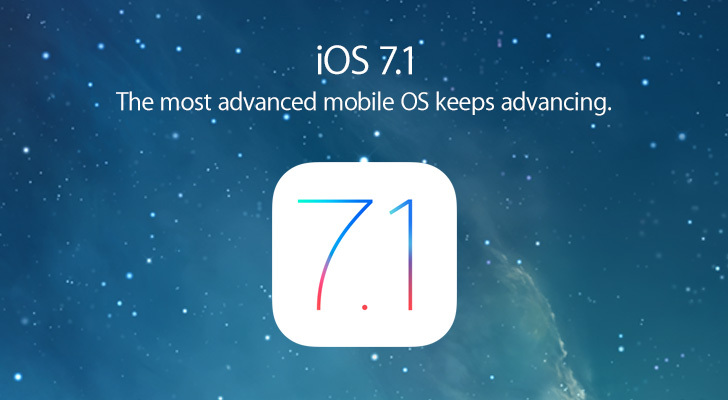 We could all be using a jailbroken 7.1 soon if they hadn't "blown their wad" on 7.0.x. I think most jail breakers are fans of Apple and their products... the people that actually want to break into your phone and do nefarious things with what they find won't release a jailbreak or tell Apple about it. They'll just silently setup a charging stand in a public place and install their malware on the phones of as many victims as possible, who will just assume it's some kind of random act of kindness or a public amenity, like a drinking fountain. That's what Google and Facebook have been doing since the beginning of the internets, "Installing Malware on the phones of as many victims as possible." And Evad3rs will soon release a 7.1 jailbreak, thanking Apple for making the iPhone.